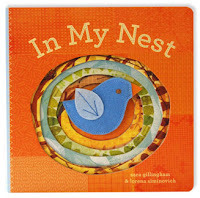 Follow books4yourkids.com's board Board Books Worth Buying on Pinterest. Almost everyone has the staple board book editions of The Very Hungry Caterpillar and Goodnight Moon, but how much thought (or money) do you give to the purchase of other board books? This format has seen some big changes over the last few years giving parents an inexpensive way to introduce beautifully illustrated books with strong (but short) narratives to toddlers. Board books aren't just for learning colors and body parts anymore! The creation of AbramsAppleseed, a branch of the excellent publisher Abrams dedicated to "artfully, beautifully conceived books" that will foster development and engage children and adults, made me take another look at books I often overlook. Click here to read reviews of AbramsAppleseed books at books4yourkids.com. Read on to find out what's new and worthwhile in the world of board books. Board books were very different eighteen years ago when I first had the need to purchase them. Because of this, I tended to consider a board book useful for learning concepts and interactive qualities that meant I could get through most of a 20 minute car ride with my eyes focused on the road in front of me and not the baby behind me. We had a basket of ten or so books that went in the car or, when in the house ended up being chewed on almost as frequently as they were looked at. I really thought of board books more as an object than a book, not stories to read to my baby. We had picture books for that. However, in the last five or so years a fine crop of picture books has been turned into wonderful board books. At first I scoffed at this practice, even though my youngest, now seven, and I read board book editions of Goodnight Gorilla by Peggy Rathmann and HUG! 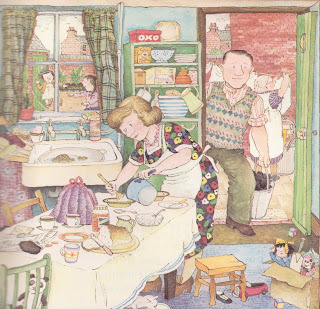 by Jez Alborough (both of which started off as traditional picture books) over and over when he was a toddler. Most of the books being converted seemed too long and/or too mature in plot (Madeline, Olivia, Harry the Dirty Dog) to hold the attention of the larger board book market, predominately kids under the age of three. I realize that there are toddlers and babies out there who are both capable and delighted to sit in a lap for more than the usual few minutes and have a longer book with a narrative read to them, but I suspect they are the exception, not the rule, thus I think that a picture book reprinted as a board book should be short on text but strong on narrative. However, I also began to notice that every so often I would read a traditional picture book that I adored but, because it was so (wonderfully) simple and short, I couldn't imagine a typical parent finding it cost effective, and found myself thinking, "This would make a great board book!" Kevin Henkes' book from 2007, A Good Day, which begins, "It was a bad day," is a perfect example of this phenomena. This has to be one of the most beautiful, engaging, circular stories I have ever read yet, when I considered it from the perspective of a bookseller and parent and NOT a picture book enthusiast, I could see how someone might balk at spending $17.00 for such a "simple" book. Also, being a shorter book with an uncomplicated story, it might be outgrown by listeners faster than a picture book with a more complex plot, adding to the reasons a parent might not want make this investment, despite the inherent value of this book. Happily, this year sees the publication of A Good Day in board book format, which means (sometimes destructive) readers can start enjoying this outstanding book at an earlier age! I urge you to buy this book for your little ones or at least find it at the library and read it a couple of times. A bit of a renaissance man, Henkes excels at writing and illustrating books of the short and sweet nature, as well as his phenomenal picture books with more complicated narratives like Chrysanthemum and Lily's Purple Plastic Purse, and excellent chapter books such as Junonia and Newbery Honor Olive's Ocean. His book Old Bear is already available as a board book and hopefully Little White Rabbit and My Garden will be published in this format sooner than later. Now that 2009 Caldecott winner The House at Night, written by Susan Marie Swanson and illustrated by Beth Krommes (Swirl by Swirl) is available in board book perhaps Henkes' Caldecott winner, Kitten's First Full Moon, will come out in board book too! Both books are more superlative examples of "simple" stories with delightful illustrations that have the perfect narrative length and depth for little listeners and thick pages that can't be ripped. In Little Blue Truck and Little Blue Truck Leads the Way, Alice Schertle's wonderful, rhythmic text ("Horn went 'Beep! '/ Engine purred/ Friendliest sounds you ever heard.") and illustrator Jill McElmurry's colorful illustrations that have a retro, Golden Books feel are perfectly matched to the board book audience. In fact, Little Blue Truck was a bit of a sleeper when it was first published in traditional picture book format but has sold very, very well in the board book form and is currently outselling The Very Hungry Caterpillar at bn.com! Below are books that began life as traditional, hardcover picture books and are finding new life (and vigorous sales) in board book format are listed below. Besides having fantastic illustrations, the stories are well written and short and perfect for the average toddler attention span! Ten Little Fingers and Ten Little Toes by Mem Fox and Helen Oxenbury and Everywhere Babies by Susan Meyers and Marla Frazee are my two go-to books for new babies. The illustrations are fantastic (Oxenbury and Frazee are two of my favorites) and the stories are short and sweet with a rhythmical flow or rhyming tune. 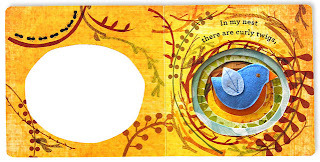 A story time favorite of mine, Antoinette Portis' book Not A Box (Best Picture Books of 2009) is another example of a book that sold well enough in hardcover but, like A Good Day is finding a better shelf life as a board book. While these two books are light on narrative, they are very strong (and lovely) on visuals. And bears. David Ezra Stein, author and illustrator of the Caldecott Honor winning (and brilliantly fun to read) Interrupting Chicken created this wonderful little board book Leaves about a bear experiences his first autumn and is surprised by the falling leaves. He tries to put them back on the trees, among other things, but gives up and settles down for his long winter nap. Orange, Pear, Apple, Bear by Emily Gravett, a favorite of mine, is a playfully simple book - there are only five words in it, four of which are in the title, but the bear is so charming and the illustrations so joyful that it is impossible to resist. I feel in love with this book, and Gravett's work, when it was published in 2007, but I knew no parent would pay that much money for a book with five words in it. I am so thrilled that is has been given a new life (and lower price) as a board book! Two board books that helped me survive a very long drive with a nine month old, written and illustrated by long time favorites of mine, are Peek-A-Boo and Each Peach Pear Plum by Janet and Alan Ahlberg of Jolly Postman fame. Peek-A-Boo, which has die-cut pages that reveal a glimpse of the domestic scene found when the page is turned, is a delightful, rhyming I-Spy book set in WWII England. Families are families and kids will relate to the story regardless of the historical setting. Each Peach Pear Plum is and essential board book that also an I-Spy book filled with nursery rhyme and fairy tale characters. Alan Ahlberg's rhymes are crisp and playful while Janet Ahlberg's illustrations are, as always, cheerfully colorful and filled with charming details. Mem Fox is another masterful story teller who has a way with rhymes. In Where Is the Green Sheep?, illustrated by Judy Horacek, rhyming text follows a flock of sheep as they go through their day looking for the elusive green sheep! For Hello Baby!, Fox pairs up with Steve Jenkins, a gifted illustrator who is best known for his non-fiction picture books that explore the natural world, the two veterans team up to introduce readers to a bevy of animals and their distinctive traits. While Leslie Patricelli's nonet of books did not start life as traditional picture books and are lacking in narrative, they are clever, funny and very fun to read and I just had to squeeze them in here. If you love books, you MUST read Lane Smith's It's a Book, which is really a bit more for adults and older children. There is a brilliant (and tiny bit naughty) joke in the book that is lost on younger kids. The board book adaptation is perfectly suited to little listeners and, as always, wonderfully illustrated. Bob Shea's Dinosaur vs. Bedtime is another book that started as a traditional picture book and is finding a new life as a board book. It is also very funny and tells a great story. For a review of his book equally entertaining and useful book Dinosaur vs. the Potty, click on the title. Finally, Sarah Gillingham's interactive board books are tipped a bit in favor of visual over narrative, but they are so beautifully illustrated, cleverly conceived and fun that I had to mention them here. I really love this article on board books. My kids are all grown, but I have noticed the increase in intelligent and beautiful board books. I really enjoy the Carl board books, such as Good Dog, Carl or Carl's Christmas by Alexandra Day. Thanks for reading and thanks for your comment! Board books are definitely getting more and more lovely - like little works of art! The Carl books are great! Since my two oldest boys just got married, I am thinking of starting a collection of nice board books for the grands! Yes! This is the perfect time to start a collection for your future grandkids! My youngest is almost 10 and the changes in board books in the years since he was reading them are amazing. I was just helping a soon-to-be grandma pick out books and matching toys to decorate the diaper cake at her daughter's upcoming baby shower. Very fun!